It's raining outside, and most all of my to-do list is also outside, so I'm wasting time on the computer. How about some spring flower pictures to lighten a raining day? Hoping next week it will warm up enough so I can dewinterize my trailer but it doesn't look good. Even the rhubarb is still in its' winter sleep !! Every Spring here in the Thompson-Nicola region, the yellow flowers of the Arrowleaf Balsamroot make their welcome appearance. 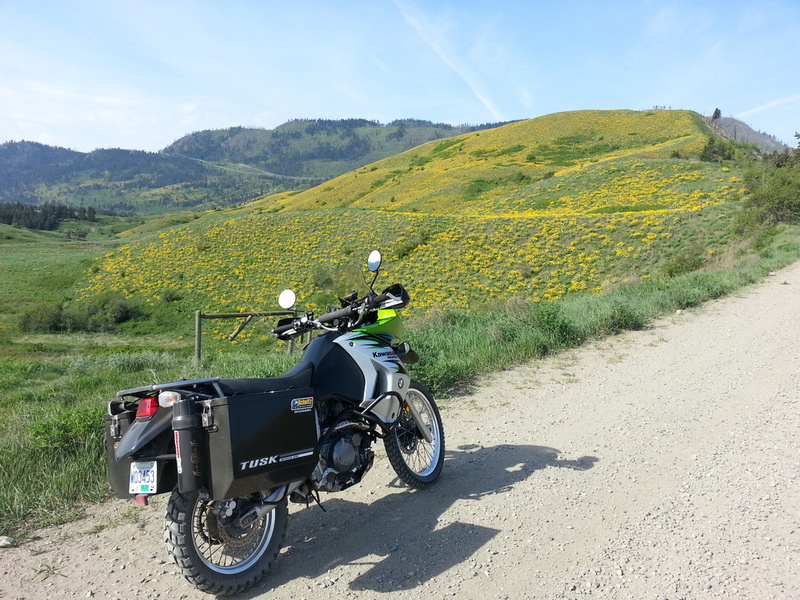 They put a lovely yellow sheen on the hillsides between Chase and Pritchard on the north side of the South Thompson river. Good friends. Woodland phlox all around. Lots of woodpeckers. Saw Woody a little while ago. Dave, great to see you are out there. If you are getting this cold wave that we now have -- keep nice and warm!